GE NanoVue Plus UV/Vis Spectrophotometer w/ Printer V2.0.3 Nucleic Acid Protein . 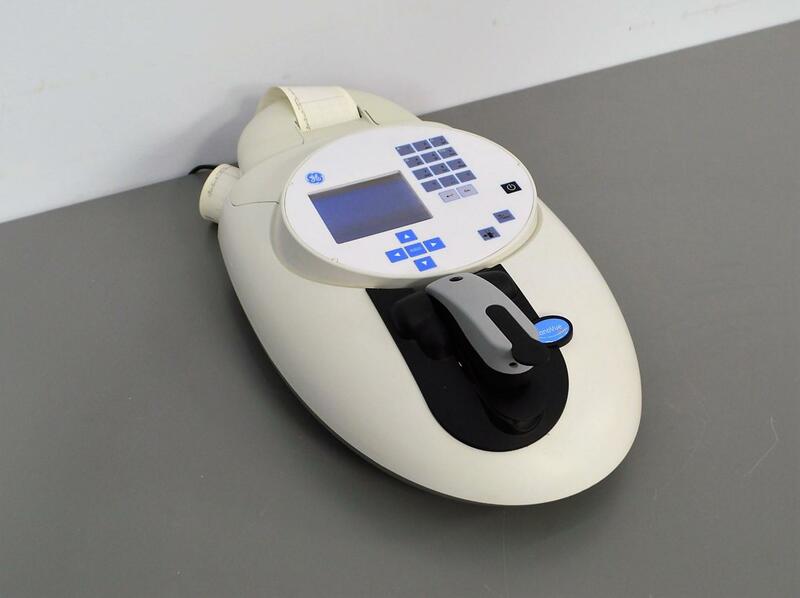 New Life Scientific, Inc.
Our in-house technician inspected and tested this GE NanoVue Plus Spectrophotometer, confirming it to be functional. Technician tested the instrument using a sample of drinking water. The results of two blank runs and two runs with drinking water yielded the expected results.